CasinoLand was created to be everyone’s favourite online casino. The team behind CasinoLand have many years of industry experience have worked hard on the design and content of the casino to ensure that it gives players of all tastes only the very best online gambling experiences. In keeping up with the times, this online casino is completely responsive to all types of devices: whether you’re accessing it from your desktop computer, laptop, smartphone or tablet, you can enjoy the full CasinoLand experience and everything will run quickly and smoothly for you. At CasinoLand there’s a collection of over 250 games by some of the industry’s top developers, such as Microgaming, Quickspin, NetEnt, Thunderkick and NYX. There’s a huge variety of games available, including slots, roulette, blackjack, video poker, table games and live games. As with lots of other casinos, the focus is on slots, with well over 100 different ones available to play; among the collection of slots are four classic slots and eight jackpots that have the potential to offer huge cash prizes. As for live games, there are numerous live versions of blackjack, roulette and baccarat, as well as a live version of Casino Hold’em. CasinoLand’s games collection is rounded off by several roulette games and four video poker games. 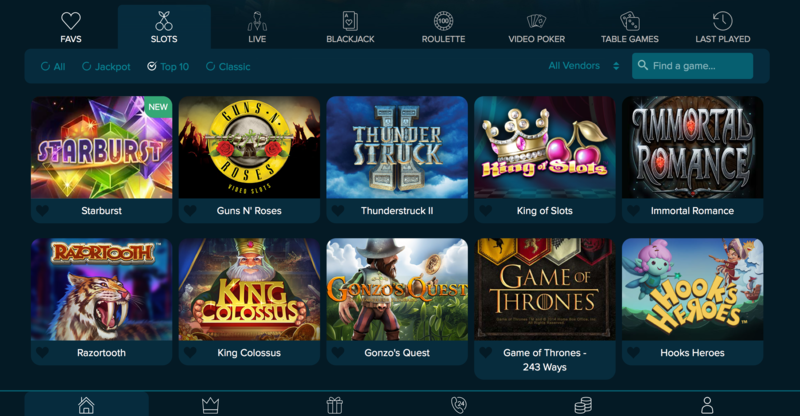 Once you’ve signed up to CasinoLand, you’ll be able to keep a list of your favourite games and you’ll able to see which game you last played. CasinoLand’s loyalty scheme is designed to reward loyal players. There are four levels to the scheme: Bronze, Silver, Gold and Platinum. All new players start off at the Bronze level and are encouraged to work their way up through the other levels by earning comp points, which are earned whenever you play games and wager money. The more comp points you earn, the higher your level and the more perks and rewards you’ll get to enjoy. The Progress Bar builds up every time you play and once it’s full, you’ll get to enjoy special rewards and bonuses depending on what level you’re currently at. There are 13 payment methods accepted by CasinoLand, including MasterCard, ecoPayz, Neteller, Visa, Skrill and uKash; all of these can be used to make deposits and all of them except MasterCard can be used for making withdrawals. Some payment methods may not be available to use in all countries and, while deposits are instant, withdrawals take at least a few working days to reach you. CasinoLand is fully regulated by the Malta Gaming Authority and was granted an operating licence by the UK Gambling Commission in February 2016. The casino takes things like fair play, responsible gaming and player safety very seriously, though this doesn’t mean the casino compromises on fun. All players, whether inexperienced or advanced, can enjoy high-quality gambling experiences at CasinoLand. Customer service is available round-the-clock and all of the casino’s staff are very friendly and helpful. CasinoLand is a modern online and mobile casino that aims to be very best in the industry.